The next release of the Shimmer Me Box is August 11, at 11am Central and its theme is Summer Vamp! 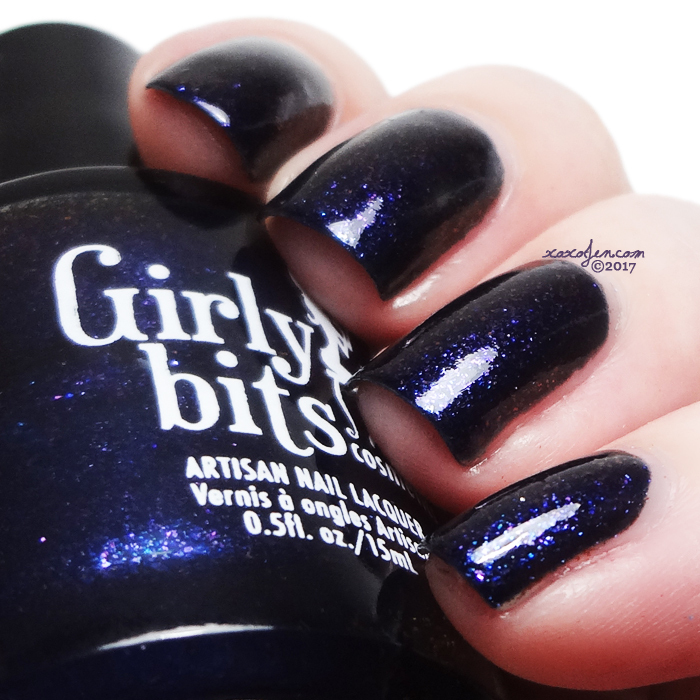 The box with guest, Girly Bits, is packed with vampy polishes in blue, red, and purple and are sure to sparkle like Edward! Girly Bits - What the Hex - inky blue crelly with a violet-copper-orange shimmer, and a violet to copper duochrome shft. 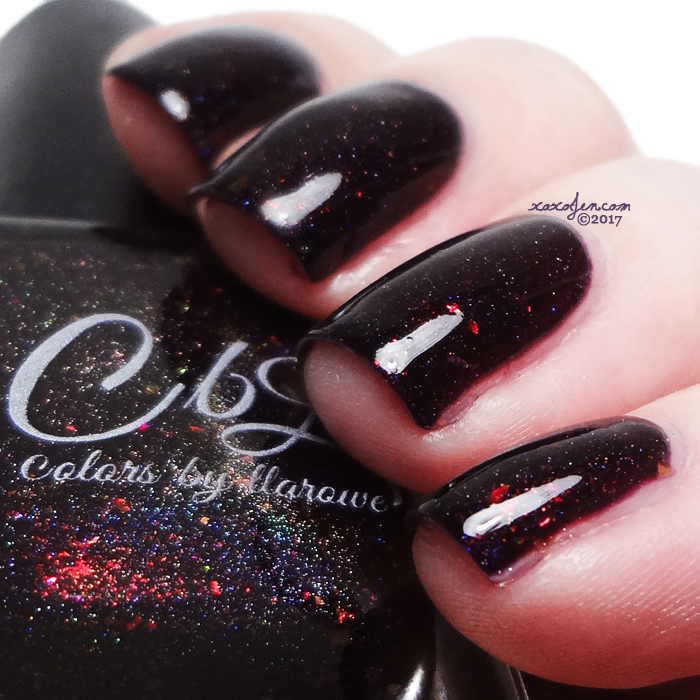 CbL - The Lady is a Vamp - blackened oxblood with gold, red, burgundy shifting Shimmer with a touch of shifting flake and holo. 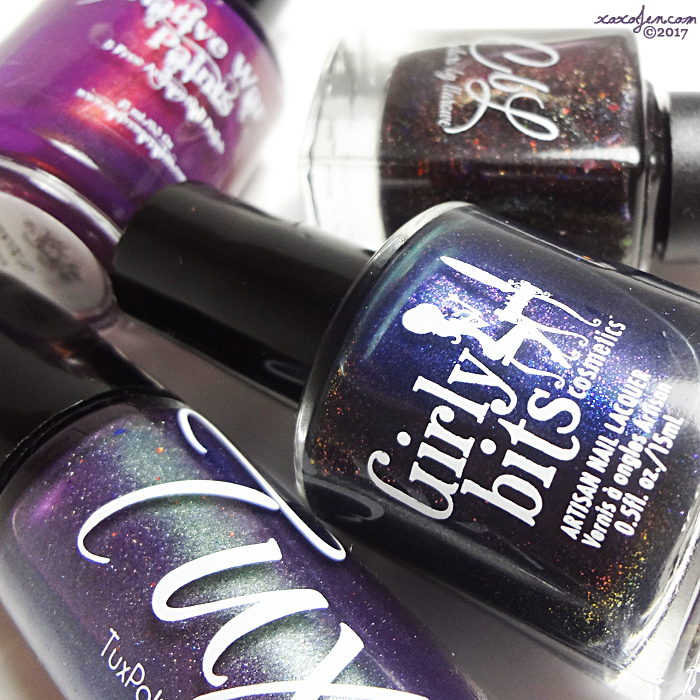 Tux Polish - Don't Be Jealous - Dark purple with green shimmer, holo, and micro glitter. NWP - Vamping Up - dark red leaning purple with copper shimmer. All four polishes are shown in two coats and have fantastic formulas. I'm really loving the jelly like squish of the CBL and Girly Bits, but I think my favorite of this box is the NWP. Purple/copper combos steal my heart every time. Pick up your own box of summer vamps August 11th, 11am central at nativewarpaints.com.